You can’t be a leader without followers so you have to understand how to motivate people to buy into your agenda. Motivation is what makes employees act in certain ways so how can you achieve this? Understanding people’s motives – their reasons for doing something is the key to becoming a good leader. One of the main theories relating to motivation is Maslow’s Hierarchy of Needs. People have needs. A need is a lack of something- something we want. This produces the drive and desire which motivates us to satisfy that need. Satisfying this need, or getting the thing we want or lack is the goal. 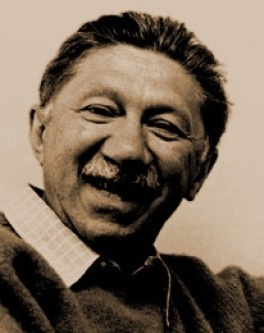 Maslow’s hierarchy of needs is a theory in psychology proposed by the American psychologist Abraham Maslow in his 1943 paper “A Theory of Human Motivation”. This is a theory of psychological health predicated on fulfilling innate human needs in priority, culminating in self-actualization. Maslow believes that people would not move on down this list to be motivated by the next set of needs until the previous set(s) had been satisfied. here’s a short video which illustrates Maslow’s Hierarchy of Needs by drawing on clips from the Disney film ‘Up’. There are other theories in a similar vein to Maslow. Leaders and managers need to have this level of understanding if they are to be in a position to motivate their staff. However to be a good leader and manager you need to recognise that people are different. To display the traits of a good leader you need to recognise that some people come to work to earn money (existence needs) and have no desire either to get on with others (relatedness needs), or earn promotion (growth needs). Others work to meet people and have a personal challenge and sense of achievement ( relatedness needs). Others work to gain experience to get promotion (growth needs). For others it maybe a combination of these. For more information visit the Call of the Wild website for personal and organisational development.